We believe every project deserves specialist input and attention to detail – no matter what its size or scope. That’s why our buildings are designed to meet every single one of your requirements and to be inspiring yet practical. At SPA we’re with you every step of the way, right from design through to completion. We can offer advice and expertise, and guide you through the construction journey, to ensure high quality and sustainable design solutions. Our highly experienced award-winning design team comprises of four Chartered Architects, with a collective experience of over 80 years. We pride ourselves on our ability to listen to our client’s specific requirements and discuss these further – helping us to get a clear understanding of what each project has to deliver from the outset. 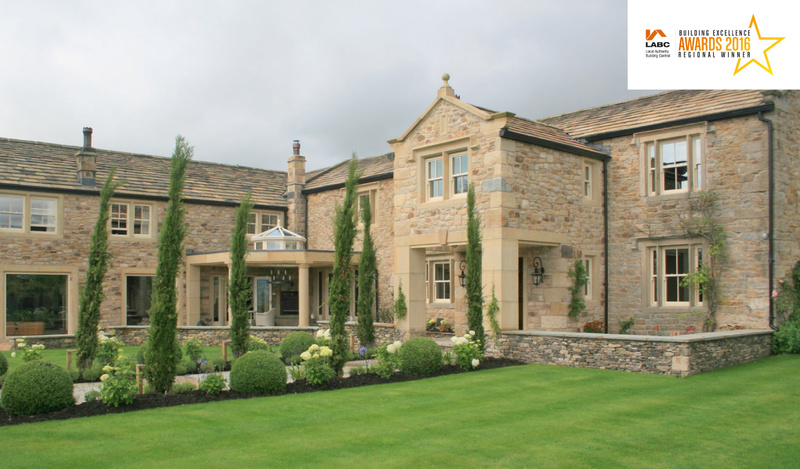 We consider each project to be as important as the next, irrespective of whether it’s a modest domestic extension or a multi-million pound project. Our team also has all the necessary skills and experience to deliver high quality designs for a wide range of project types. We use a wide range of presentation techniques in-house to suit the requirements of each project. These can vary from quick hand drawn pencil drawings to concept sketches to convey initial ideas to clients, or designs that use the latest in computer generated technology to produce real-life colour rendered visualisations. While we regularly use computer aided design (CAD) systems for preparing drawings throughout a project, we also value traditional architectural techniques. We have the in-house expertise to prepare quality hand drawn sketches and to build physical models using materials such as card, acrylic and cork. These are often more tactile, easy models for clients to study and refer to. Our team always offers reliable, up-to-date planning advice on a wide range of projects and we have an excellent success rate for securing planning consents. Typical projects range from relatively modest extensions to larger scale strategic master planning of sites. We always recommend that our clients contact us at the outset so that we can properly consider the project aims and potential solutions before contacting local planning authorities. This ensures a fully considered approach. Over the years we’ve established good working relationships with many local planning authorities. This has enabled us to work closely and effectively during early pre-application stages through to the preparation and submission of full planning applications. What’s more, our ability to lead projects as both architect and planning agent allows us to provide clients with a co-ordinated and cost effective service. Our team has extensive experience working on a wide range of designated heritage assets. These have included important listed buildings and protected sites within conservation areas and areas of outstanding natural beauty. We offer specialist in-house advice on all aspects of conservation work from simple repairs to the building fabric, to large-scale adaptations and extensions of listed buildings. Our team can also produce the necessary supporting documentation, as part of the design process, to ensure each project is well co-ordinated and considered to get the best results. Through combining our wealth of experience and specialist advice, which covers a wide range of aspects including design, planning, construction and cost control, we can assess the feasibility of potential developments. As part of our service we prepare comprehensive feasibility reports tailored to suit the aims and objectives of each project. These can range from simple pre-application comments from local planning authorities to more in-depth studies that include initial concept designs, planning advice and estimated project costs. We know just how important cost is, which is why we provide early cost advice on potential building projects when required. This helps when considering the feasibility of a project and for budgeting purposes. Cost advice can be based on current building rates and similar types of recent projects or we can offer more detailed cost reports. These will be based on concept sketch design drawings and outline specifications that can be undertaken by our in-house Chartered Surveyors. The estimated build costs can also be assessed as the design develops, to ensure that the project is deliverable and meets budget constraints. We regularly oversee the construction phase of projects too - during which continued cost advice and control is critical. The majority of construction projects require building regulations consent, even where planning permission may not be required. We are able to advise on this at the outset to avoid any issues, which could crop up down the line. Our teams of experienced and qualified architectural technologists and surveyors work alongside the project architect to prepare detailed construction drawings and specifications. These are then submitted to obtain the necessary building regulation approval. This collaboration between our technologists and architects ensures that design aims and detail agreed during the planning stage are continued through to the detailed construction information. This is key to achieving a high quality building. Many of our clients acknowledge the importance and benefits of our detailed tender documentation and for us to administer tender action to obtain competitive quotes from reputable contractors. We receive and assess all tenders returned and provide reports to our clients with recommendations on the right contractor for the building works. We always recommend that we prepare simple building contracts between the client and contractor to suit the size and nature of each project. This formalises the scope of works to be undertaken, along with the associated costs and timescale, and ensures client satisfaction. Contracts can be either client run, for simple domestic projects, or architect led, for larger domestic and commercial projects - the latter of which we can administer in-house. As architects, we are trained and experienced to lead building projects right from the first meeting through to completion. During our involvement with the construction phase of the project we can provide clients with continued support, advice and design input if required. We regularly oversee a wide range of building projects, acting as the lead consultant for larger projects involving a multi-disciplinary design team. We also carry out duties as the contract administrator – ensuring that a building is built to a high standard of workmanship and that all costs and the build period is properly monitored and agreed. Planning applications that involve works to existing roofs, or demolition of buildings, require Bat Survey Reports to be included as part of the submission. We have an in-house qualified and experienced Bat Surveyor, who regularly undertakes Bat surveys and reports for applications. Our ability to carry out these surveys allows us to provide comprehensive advice and to produce reports promptly. Initial scoping surveys can be undertaken as part of the measured building survey process too, to keep costs to a minimum and allow us to offer a cost effective service. Our aim is to promote sustainable building solutions through design, construction and future maintenance and running of completed projects. As a result of this, we are always keen to discuss options in the initial briefing stage - as this may have wide ranging implications on other aspects of the project. Our comprehensive expertise on this topic ranges from integrating many forms of sustainable energy solutions, which can include ground/ air source heat systems, photovoltaic panels and wind turbines, to options for building structures and materials. With all our advice our goal is to make each project as sustainable as possible, in terms of minimising the carbon footprint of the development and future running and maintenance costs. Our experienced architects and surveyors are able to undertake structural and condition surveys of existing buildings and prepare reports, tailored to suit individual project requirements. 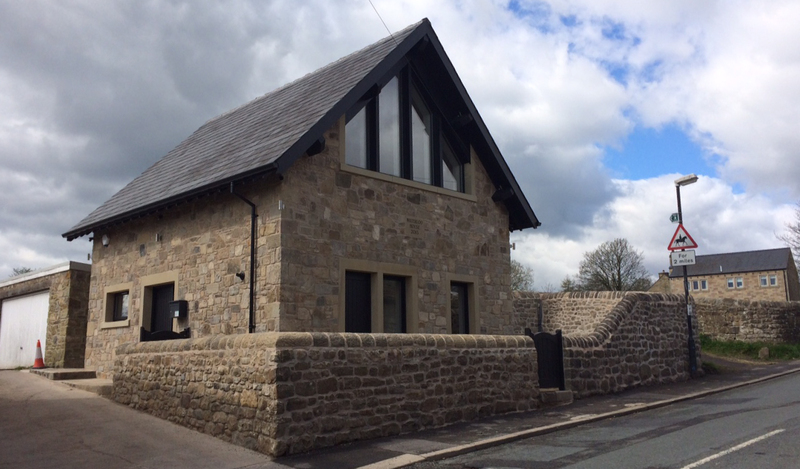 These reports are typical requirements for planning and listed building applications requiring sensitive works to protected buildings, or to prove whether a building, such as a barn, can be converted without major rebuilding work. Unlike many other architectural practices, we pride ourselves on our highly skilled and experienced surveying teams’ ability to prepare detailed, accurate building survey drawings. These typically show existing floor plans, sections and internal and external elevations, and our topographical site surveys use the latest laser surveying equipment. Our surveyors can either prepare hand drawn survey drawings or computer aided design (CAD) to suit the project and the client’s preference. Our ability to produce our own survey drawings also gives us the opportunity to get an appreciation for the building being surveyed, which is not possible if the survey work were to be outsourced. In turn, this helps ensure high quality design solutions and better co-ordination.